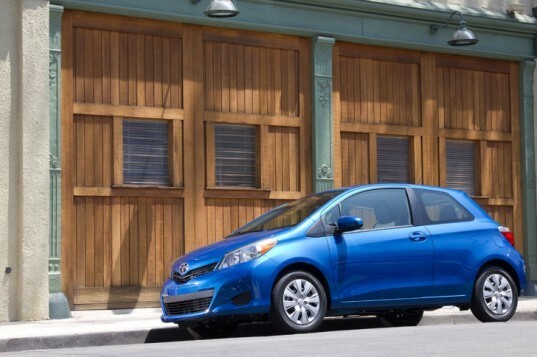 Inhabitat Takes the New Yaris 2012 for a Test Drive! The 2nd generation Yaris will soon be hitting local dealerships, offering increased fuel efficiency at an incredible value. Recently, Inhabitat was asked to preview the Yaris, and we were more that happy to take the vehicle for a spin. With a mileage range of 38/highway, 30/city, and 35/combined, its sticker price of $14,115 offers a lot of bang for its buck. A product of Toyota — who has made a solid name for itself with the hybrid Pruis — the Yaris represents the company’s continued commitment to developing vehicles that ensure increased in fuel efficiency and top consumer value. Aimed at college students and young adults, Toyota hopes to capture the Y generation by running their first all-electronic campaign with the Yaris. Toyota front-loaded the acceleration capabilities on the Yaris, meaning that it has that bit of zip needed to get in and out of car traffic in crazy urban cities such as Los Angeles. The A/T models have an “Eco Drive Indicator” that lights up in order to help drivers get the most out of the gas they put into the car. Additional considerations were given to the overall sustainability of this gasoline-powered vehicle. All plastic parts on the Yaris are now properly stamped, helping with end-of-life breakdown and recycling of the car. In addition, plant-based materials were used throughout the design (i.e. the hatchback cover to the spare tire) in areas where the overall safety and performance of the car would not be compromised. The 2nd generation Yaris will soon be hitting local dealerships, offering increased fuel efficiency at an incredible value. Recently, Inhabitat was asked to preview the Yaris, and we were more that happy to take the vehicle for a spin. With a mileage range of 38/highway, 30/city, and 35/combined, its sticker price of $14,115 offers a lot of bang for its buck. A product of Toyota -- who has made a solid name for itself with the hybrid Pruis -- the Yaris represents the company's continued commitment to developing vehicles that ensure increased in fuel efficiency and top consumer value. Aimed at college students and young adults, Toyota hopes to capture the Y generation by running their first all-electronic campaign with the Yaris.